I have tried many head torches for astronomy and almost all have been flawed in some way or another, this one however ticks every box I have ever needed and for once a sensible price. This headlamp is the perfect hands-free light for working, hiking, camping and more! 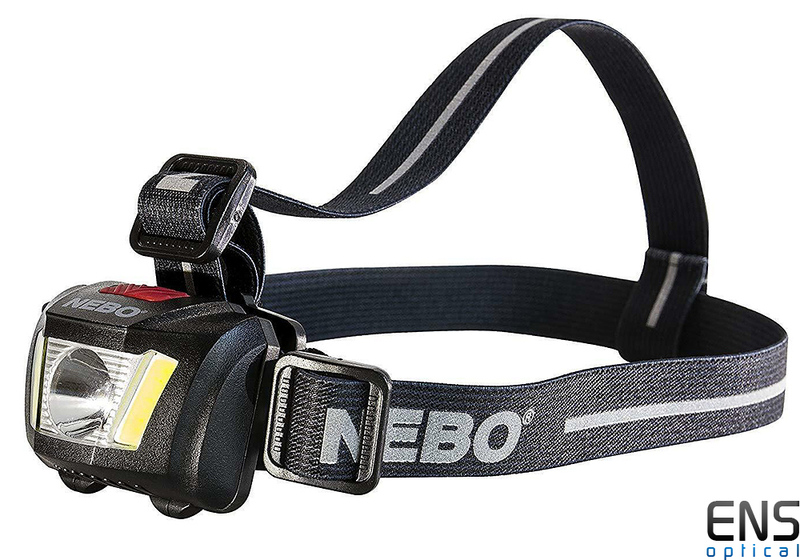 The new NEBO® DUO Headlamp is an allpowerful, hands-free lighting solution. This useful headlamp is perfect for when you're in a situation with minimal light, especially outdoors. A low-signature light, which ensures stealth in the dark, enhances night vision and makes reading possible in little to no light. A red flashing light is visible more than one mile away for up to 48 hours to ensure maximum visibility. The headlamp can be tilted by up to 90° to enable you to focus light exactly where you want it. Cycle through four light modes using the on/off button. Depending on your situation, you've got one white LED (250 Lumens), two COB LED strips (80 Lumens) or two RED COB strips. Use them in steady or beacon mode. Dual adjustable head straps allow for maximum comfort and control when you're operating the light. The red LED is a low-signature light, which ensures stealth in the dark, enhances night vision and makes reading in little to no light possible.